Donald Trump’s intellectual critics on the left and on the right have long viewed him in roughly similar terms — as an ignorant, authoritarian demagogue — but have disagreed on the intellectual tradition from which he has sprung. Anti-Trump conservatives have depicted him as a non-ideological figure, or even a progressive (as conservatives like Noah Rothman and Kevin Williamson have called him), who chose the Republican Party for no particular reason, and who shares none of its salient characteristics. Liberals have a different view. While acknowledging the extreme and unprecedented nature of Trump’s authoritarianism and anti-intellectualism, liberals have tended to see his rise as an extension of preexisting trends on the right. I made this case at length before the election. Since the election, anti-Trump sentiment on the right was weakened palpably. Many critics who previously focused their attention on Trump’s dangerous characteristics now devote more attention to mocking liberals. Anti-Trump conservatism has not disappeared, of course, and Charles Cooke is upset I implied that his mockery of Trump’s opponents means he has abandoned criticism of Trump. Understandably so; he hasn’t. Still, it is clear that orthodox conservatism and Trumpism appear able to co-exist far more amicably than anti-Trump conservatives allowed. It’s important to determine what errors conservatives made in assuming otherwise. Professional, social, and partisan comfort play a role. It is also true that paranoid, authoritarian, and anti-intellectual politics have been hallmarks of conservative-movement activists for decades, making Trump’s rise almost a natural outgrowth of the movement’s complete takeover of the GOP. A final factor, which I elaborated on the other day, is a longstanding fear of democracy among economic libertarians. Right-wing economic thinkers from Richard Weaver and Barry Goldwater on have feared the ability of democracy to empower majorities to redistribute resources from the few to the many. That fear is also the heart of Ayn Rand’s political philosophy. Hatred of redistribution is not the entirety of Rand’s philosophy, which is wide-ranging, totalistic, and cultlike. And a completely purist interpretation of Randism would reject rather than embrace a figure like Trump, who has always used government power to enrich himself. But the element of Randism that has translated into practical politics is a generalized worship of the rich as the drivers of prosperity (which is why Republicans call rich people “job creators”) and a primal suspicion of redistribution of market outcomes. 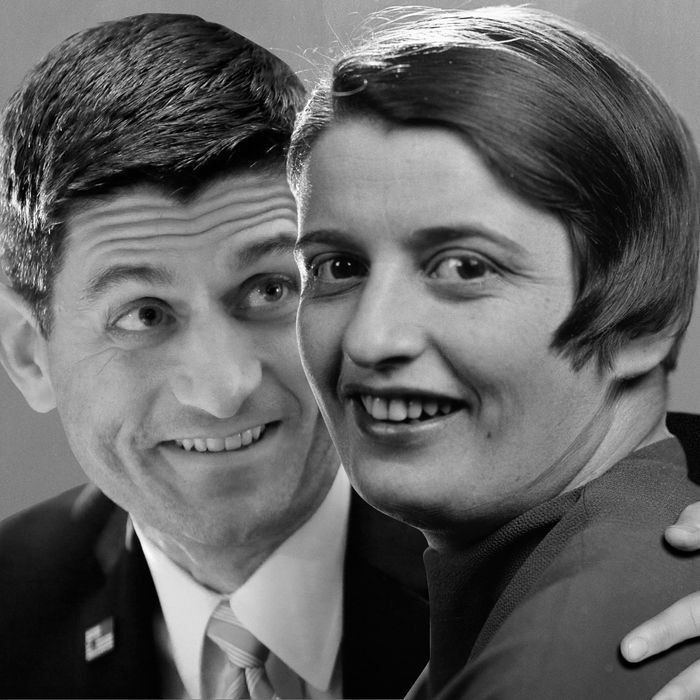 It’s notable that not only is Paul Ryan a Rand nut, having once distributed her novels to his interns like a religious text and praised her as a prophet as recently as 2009, but also two of Trump’s cabinet members have cited Rand as their favorite author. There’s nothing Randian about Ryan’s politics? Not even his singular passion for reducing government in general, and taxation on the rich in particular, that has run through his entire public life? If you can’t see that this is the motivation behind Ryan’s actions, and that it might explain his willingness to work with Trump and overlook the president-elect’s blatant self-enrichment and Russian hacking that benefited his campaign, then you probably don’t have a good handle on the Republican Party’s acceptance of its authoritarian president.